Will you survive a disaster in a city without having resources such as water, food, and safe shelter at your immediate disposal? You’re going to be facing hard times and the adversity from your fellow urbanites who aren’t survival-savvy. 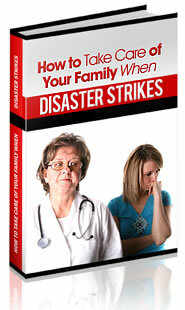 Whether it’s a financial collapse or a natural disaster, you need to know how to survive. You can prepare building a food and water stockpile. But the most important thing to stockpile is knowledge. That’s going to be the difference between you and 99% of your neighbors. Knowing what to do to survive is three quarters of the battle. You still have time to learn and develop your skills by grabbing the amazing offer we have for you. Read the whole article to find it! First and foremost, you need to know how to adapt. To do this, you’re going to have to be flexible and think outside of the box. It may reach a point where paper money has no value; instead, commodities like food, hygiene products, and useful skills will become the new dollar. This is where stockpiling, prior skill acquisition, and living simply will come in handy. Do you know where the city water pipes are? What about the main source of drinkable water? Do you know where dairy and produce farms are in the immediate areas surrounding your city? Clean water and access to purification methods will be critical to survival, not only for drinking and cooking, but also for personal hygiene and disease prevention. Gleaning, dumpster diving, freecycling, or upcycling: regardless of what you call it, scavenging is a great way to find perfectly useful products and edible food. Though we live in a society that places a huge stigma on going through somebody else’s trash, we’ve also taken wasting to all new levels. Probably half of what goes into a landfill isn’t actually garbage: it’s just something that somebody didn’t want any more or didn’t bother to fix. We encourage such behavior by making new items so affordable and accessible that it’s easier, and often cheaper, just to throw something away. Scavenging now can save you a ton of money and decrease the amount of waste, if even by a bit. Imagine if everybody did it! In an urban survival situation, scavenging may just save your life. After all, there may not be any stores open to buy parts to fix your generator, replace lost clothing, or buy fresh produce; these are all items that will be readily available in the dumpsters nearest you if you’re just willing to look. This is all part of living simply and switching to a more frugal, less wasteful frame of mind. The art of getting a good deal for what you buy and trade is a valuable skill now but will be absolutely critical to surviving an urban collapse. Know what your possessions are worth, and have a stockpile of items that you know will be valuable in that situation. Hygiene items, food and useful skills are going to be at the top of the list when it comes to barter. Weapons and ammo may be up there, too, but that may be something that you want to keep for yourself depending upon your situation. The take-away here is that you need to know how to barter in such a manner that both you and the person you’re bartering with feel like a good trade was made. If an event such as earthquake or engineering failure, you may very well find yourself trapped in a sea of debris. Knowing how to escape without causing further cave-ins or getting lost will be a valuable skill. It will be similar to escaping a thick jungle full of hazards that can kill you if you’re not extremely careful. For that matter, it may kill you, or trap you, through no fault of your own. You’re going to deal with not only keeping yourself safe and treating your own injuries, but also helping others out. Learning how to escape debris requires adaptability, medical skills, a bit of structural and physics knowledge, tracking and woodcraft skills to prevent going in circles, and psychological skills. Being physically fit will also work to your advantage. This is a skill that you should learn now, and it goes along with many of the other skills that we’ve discussed: bartering, scavenging, adapting. Living small simply means decluttering your life and learning to make do with what you need, not want you want right at any given moment. Your goal is to eliminate everything that isn’t directly integral to your survival or happiness. Fixing things instead of throwing them away, being willing to upcycle products instead of always buying new, growing as much of your own food as possible, and leaving a small carbon footprint in general are all parts of living simply. The less you depend upon other resources for your survival, the harder it will be for you to adapt to a survival situation. Did you know that you can cook an entire meal on a car engine? All you need is some aluminum foil. First, warm up your car and feel for the hottest parts, and parts that get too hot to touch, but not so hot that they’ll catch things on fire. Most of these spots will be directly around the engine. Many of those spots have nooks and crannies where you can tuck your food to cook while you travel. You don’t necessarily have to go anywhere – you can cook as long as the car is running – but it’s a waste of fuel. Remember that potatoes and corn will cook much faster than a roast, so make sure that you put those on after you put the roast on to cook. You may also want to cook meat for the first half-hour or so in the hottest spots, then move them to places that aren’t quite so hot so that they cook all the way through. The first goal of urban survival is surviving! You can’t do that if you or the people that you care about bleed to death before you escape the building that’s fallen on you or whatever other disaster you find yourself in. There are several different herbs that can help stop bleeding. You also need to know how to apply a tourniquet and how to pack a wound. Also, none of these skills will do you any good if you can’t keep your cool and adapt to the situation as you need to. You likely won’t have access to trees and forest debris to start fires, but you will have access to broken doors, window sills, clothing, cotton swabs, and other extremely flammable items. Just about anything will burn, but it’s important that you learn what materials are toxic and which ones are safe to burn. Also, you want to burn items that don’t produce much smoke. Again, just being able to adapt and think outside of the box will serve you well. Without a doubt, there are going to be a ton of starving people if things get bad enough. After all, we know that we, as preppers, are the small minority of society. If you want to survive, it’s going to be important to learn how to cook and eat without being noticed. If you live in an apartment, developing a joint apartment communications team can help avoid this problem. They watch out for you and you watch out for them. This is something that you need to do before SHTF, and it’s still a good idea to play your hand close to the vest and not reveal exactly how much or what you have stockpiled. Help avoid problems by hiding your stockpile, and don’t tell anybody that you’re even building one now. Even the nicest, most honest people will turn on you when they’re hungry and desperate. Finding ways to cook without people smelling it will be one of your biggest problems. The Urban Survival Playing Cards offer tips and hacks that will help you survive an urban crisis, and the best part is that you can carry them with you so that you can flip through them in an emergency. Booby traps are quite easy to make but you need to be careful about how you set them. You don’t want your kids or old Mrs. Cunningham in 204 to get caught in them. Booby traps should blend into the environment. Cover holes in the stairs with old carpet, for example. If you have an area that’s particularly difficult to defend, it may be best to seta a trap that causes a local, yet heavy, cave-in. You want it to be so dense that they can’t get through, but you don’t want to run the risk of weakening the structure of the rest of the building. The idea is to make it difficult enough to get through that they leave in search of easier pickings. Knowing how to get from one point to another unobtrusively is a valuable skill to have. Most cities sit atop a network of sewers, maintenance tunnels, and subways that make for excellent discreet navigational avenues. Even if there is somebody else there, it’s easy to slip into the shadows and wait for them to pass. Most of these blueprints are available at city hall if you just know where to go. This is part of gathering info and knowing what your resources are. You can actually escape the city if you understand the underground tunnel system well enough to navigate them, even if part of them become blocked by cave-ins or are being observed by opposing forces. If anybody so much as suspects that you have a supply stash, there’s a good chance that somebody will try to follow you home. This may also be the case if you’ve been out surveilling and the enemy catches on. In both these cases, you need to know how to lose a tail. How you do this will, of course, depend upon your situation. If you can get lost in a crowd, losing a tail will be easier. Remember to walk at the pace, and in the direction of, the crowd. Change your appearance as you go. Take off a hat or jacket because that’s what your tail will look for first – identifying clothing. Sneak in the front of a place and out the back. You’re going to need a place to stay if your apartment or house is breached or rendered uninhabitable. You can build shelter from debris such as cardboard, old doors, washer and dryer lids, garbage bags, and other items that you scavenge. Knowing where to build a shelter is critical, too. Knowing the tunnel systems and the source of fresh, clean water will both play roles in helping you find a safe place to stay. If you’re prepared, you don’t want people to know it. You want to blend in. This means eating away from everybody, acting as if you’re in the same situation as everybody else, and behaving in as nondescript a fashion as possible. In essence, you want to be invisible by being just like everybody else around you. However, you don’t want to change so much that you make other people suspicious of you, either. If you’re normally helpful and friendly, keep those traits even if you have to tone them down a bit. That probably won’t be hard because it’s who you are at your core. The truly hard part is going to be resisting the urge to offer too much help. While it’s true that there is safety in numbers, the bottom line may be that you have limited resources that you can’t afford to share if you want your own family to eat. Decisions may be difficult. Without a doubt, surviving a collapsed city will present more, or at least different, challenges than surviving an emergency on a well-stocked homestead that’s already partially off the grid. Still, it’s going to be the reality for many of us, and it’s a situation that you can survive if you’re adaptable, knowledgeable, and prepared. This is a great idea, especially as a way of introducing survival to people who are not yet preppers. It can be used as a tool for teaching children and adults alike. Either way, it could turn into a great Christmas gift. Discover more than 52 survival tips that will help you thrive after disasters and breakdowns in urban areas.